Minnesota opening weekend deer harvest down from last year. Minnesota hunters registered 62,702 deer, of which 36,149 were bucks, during the opening weekend of the state’s firearms deer season, according to preliminary reports from the Department of Natural Resources. That’s down about 14.5 percent from last year’s opener, when hunters registered 73,479 deer and 42,286 bucks during the first two days of season, the DNR said. 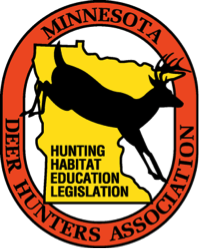 Minnesota’s firearms deer season continues through Sunday, Nov. 11 in 200- and 300-series permit areas and through Sunday, Nov. 18, in 100-series permit areas. A late season hunt in 300-series permit areas of southeast Minnesota opens Saturday, Nov. 17 and continues through Sunday, Nov. 25.